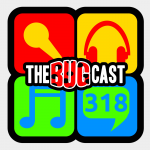 This week on The Bugcast: Podcrawl roundup, scary mugs, competition reminder, and we play 8 cracking tracks of independent and Creative Commons music! We’re giving away Lejo Harmeson & Essence‘s brand new CD “Still”. Listen to the show for the question. Answers to competition@thebugcast.org. The deadline is 12:00 (midday) UTC on Thursday 26 June 2014. The next live show will be episode 319, which will be broadcast live in the chatroom on Friday 27 June 2014 from 21:00 (ish) UK time (UTC+1/BST).